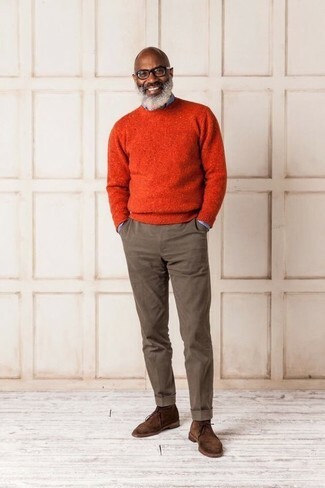 If you're on a mission for a casual yet seriously stylish ensemble, dress in an orange crew-neck sweater and brown chinos. Both pieces are totally comfortable and will look great together. When it comes to shoes, this outfit pairs really well with PIKOLINOS irun plain toe chukka boot from Nordstrom. If you're on the hunt for a casual yet stylish look, wear a brown check blazer with white skinny jeans. As well as very comfy, both garments look amazing when worn together. 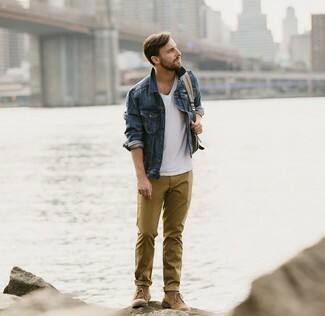 And if you want to instantly up the style ante of your look with one piece, add brown suede desert boots to the equation. 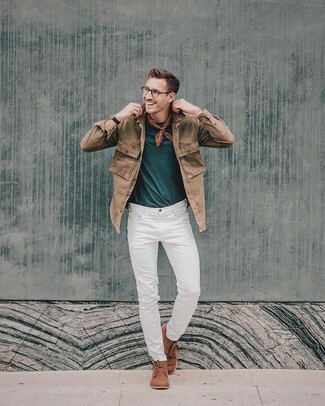 Combining a brown denim jacket with white jeans is a smart idea for a casual ensemble. A pair of PIKOLINOS Irun Plain Toe Chukka Boot can integrate seamlessly within a great deal of getups. 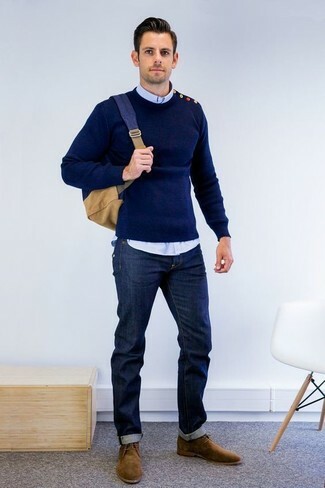 If you're hunting for a casual yet stylish getup, rock a navy v-neck sweater with charcoal chinos. Both items are totally comfortable and will look great paired together. When it comes to shoes, this getup pairs wonderfully with brown suede desert boots. For a nothing less than incredibly stylish outfit, wear a navy overcoat and charcoal wool dress pants. For something more on the daring side to complete this ensemble, choose a pair of PIKOLINOS irun plain toe chukka boot from Nordstrom. 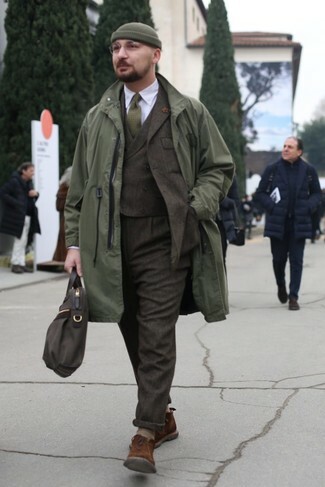 Try teaming an olive raincoat with a dark brown wool three piece suit for a classic and refined silhouette. Grab a pair of PIKOLINOS irun plain toe chukka boot from Nordstrom to make the look current. 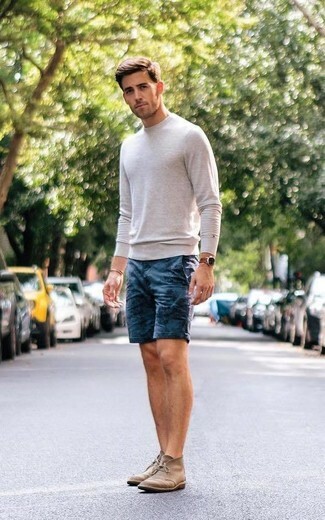 For an off-duty outfit with a modern take, go for a beige crew-neck sweater and navy print shorts. 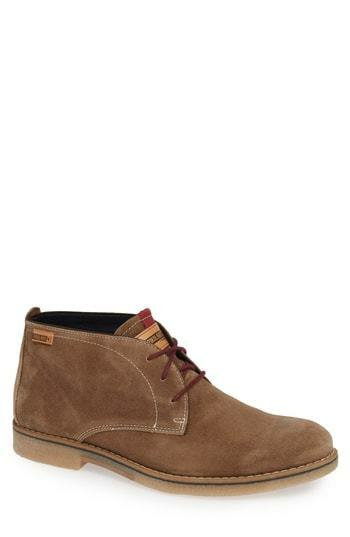 Brown suede desert boots are an easy way to inject a hint of refinement into your outfit. This casual combination of a navy denim jacket and mustard chinos is a winning option when you need to look sharp in a flash. A pair of PIKOLINOS Irun Plain Toe Chukka Boot is a wonderful pick to finish your outfit. If you don't like spending too much time on your outfits, reach for a navy crew-neck sweater and navy jeans. When it comes to footwear, this outfit is complemented wonderfully with PIKOLINOS irun plain toe chukka boot from Nordstrom.